Senior coroner, Christopher Sumner, has retired from his post after 20 years-service. Mr Sumner, 75, took up the role on October 10, 1998 and following two decades as senior coroner for Sefton, St Helens and Knowsley, is stepping aside to enjoy his retirement. Christopher, who has two sons Stuart and Edward with his late wife Marjorie, started his career as a teacher at Croxteth Comprehensive School after studying at Durham University. A career in law beckoned and he completed his articles at Goldrein & Company Solicitors in Liverpool and continued in criminal law in the city. Mr Sumner later moved to Southport and worked within different legal firms before opening his own practice within the resort. From there he become Senior Coroner for Sefton, St Helens and Knowsley and has presided over more than 5,100 inquests. A Coroner is an Independent Judicial Officer empowered to enquire into sudden, unnatural or violent deaths. Christopher Sumner, said: “It has been a real honour to be Senior Coroner for 20 years serving bereaved families at the most difficult of times. “My role is to help establish how people have died, and during my time I hope I have been able to give families answers and some form of closure following the loss of a loved one. In his spare time Christopher dedicated more than 30 years to the Scouts Association working in various roles within Southport and became the District Commissioner for Formby Scouts. 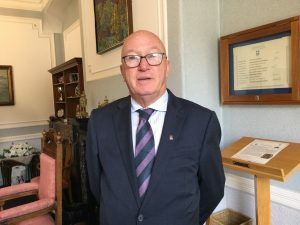 He has been a member of Southport Links Rotary Club for over 25 years, giving his time and support for the local community and international projects. He became the District Governor of District 1180 which covered the whole of North Wales, Cheshire, Wirral, Liverpool up to Southport. On retirement he intends on spending more time with his family and wife Bernadette, continuing his membership at Hillside Golf Course, Rotary, quizzes and pursuing his beloved Everton FC. Mr Sumner will be replaced by Graham Jackson who will become the acting Senior Coroner for Sefton, St Helens and Knowsley. A host of famous faces are set to join residents across Sefton in wishing Bootle a very happy 150th birthday. From Monday October 22 to Saturday October 27 all eyes will be on Bootle as the town celebrates its 150th year of incorporation with a week long series of events, talks, celebratory party and the unveiling of a special exhibition. 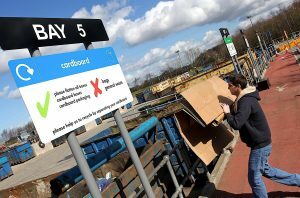 It’s part of a number of special occasions across South Sefton as both Bootle Strand Shopping Centre and the Girobank building mark their fiftieth birthdays. 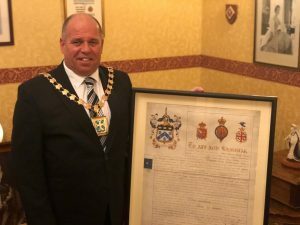 Bootle’s 150th celebrations will include the unveiling of the refurbished Town Charter which was signed in 1868 and has not been seen by the public for decades. The Mayor of Sefton, Cllr Dave Robinson, said: “I can’t wait for everyone to see the refurbish Charter, which has been lovingly restored by the fantastic team at the Atkinson, Southport. 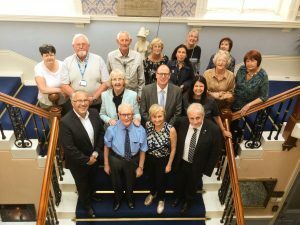 “It is set to be a fantastic six days of celebrating Bootle turning 150 years old with lots of different events including a special history talk, a themed tea dance by Sefton O.P.E.R.A. performances by the North West Charity Singers, and a huge 150th bash which includes performances from Rachael Russell & George Gallagher! “I’ve also called on a few famous Bootleians to send special well wishes to their hometown on this landmark occasion so keep your eyes peeled! An exhibition displaying artefacts from Bootle’s history will be open from 10am-5pm on Monday-Friday (October 22-Friday 26). Scavenger hunts for children and tours of Bootle Town Hall, done personally by the Mayor of Sefton on Monday 22nd & Wednesday 24th at 10.30am, 12.30pm & 2.30pm will also be held. For more information or to book tickets please call 0151 934 2062 or email mayorsoffice@sefton.gov.uk.